Global warming is closely related to the greenhouse effect and it is the crucial issue facing the world in the 21st century. In the last 5 decades, the average global temperature of the earth’s surface has been increased at a very rapid rate. The term global warming refers to the increase in the average temperature of the earth’s surface and it also causes a change in the pattern of climate. Greenhouse gases are the primary factors responsible for the greenhouse effect and it is closely related to global warming. There are six main greenhouse gases causing the greenhouse effect such as carbon dioxide (CO2), methane (CH4), nitrous oxide (N2O), hydrofluorocarbons (HFCs), perfluorocarbons (PFCs), sulfur hexafluoride (SF6) & water vapor. Both natural and human activities contribute to global warming. 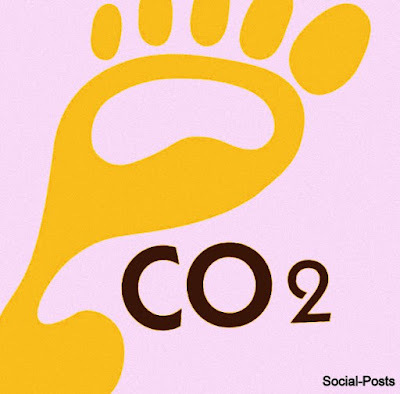 The presence of greenhouse gases especially the CO2 is the prime factor behind the increase of earth’s temperature. The greenhouse effect is the natural phenomenon that maintains the temperature of the earth’s surface. This process is very crucial for the survival of human beings on earth. The several steps involved in this natural process are as follows. When the rays of the sun reach the earth, then some of the solar energy is absorbed by the earth and rest is reflected back to the atmosphere by the earth. The energy reached the earth is absorbed by the land and oceans causing the heating of the earth. Greenhouse gases are present in the atmosphere. When the earth reflects the energy of the sun, then these gases absorb some energy and reflected back to the earth while the remaining energy returns back to space. Greenhouse gases trap some heat into the atmosphere keeping the earth warm enough to sustain life. Hence this activity is very important for the survival of human beings on earth. This natural activity has no impact on global warming. 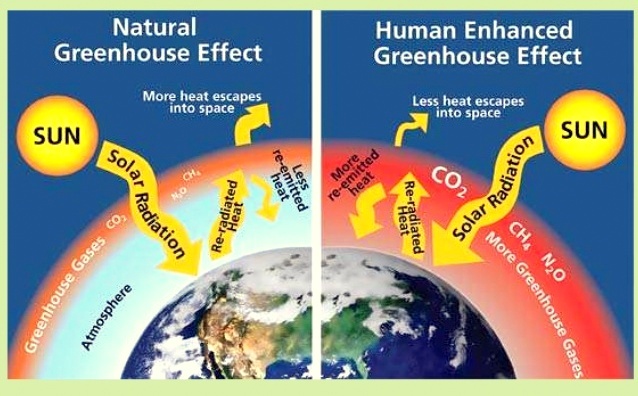 The natural process of the greenhouse effect is affected by human activities especially the burning of fossil fuels, agriculture, and land clearing. These activities increase the thickness or concentration of greenhouse gases in the atmosphere. The increased thickness of greenhouse gases causing the more and more sunlight radiated back to the earth’s surface and warming the temperature of the earth’s surface above the normal temperature. This factor plays a very significant role in climate change or global warming. The human-enhanced Greenhouse effect is responsible for global warming. Human activities are mainly responsible for global warming although there are few natural activities also contributing to global warming. • Human activities include activities such as deforestation, farming, excessive use of chemicals, burning of fossil fuels to generate electricity or for transportation, etc. are the primary factors contributing to global warming. • Natural activities include aerosols from periodic volcanic eruptions, dust, and salt spray; natural carbon cycle processes etc. Human activities play a major role in disturbing the natural process of the greenhouse effect and hence mainly contributing to global warming. Carbon dioxide is the main enemy of the climate and our goal is simple i.e. minimize the emissions of carbon dioxide as low as possible. There are several easy and effective ways that we all can perform and make a difference. We have summarized a few of them below. • The burning of fossil fuels contributes to the emissions of greenhouse gases. Minimize the emissions as low as possible and use renewable sources of energy like solar energy, wind energy, tidal energy, etc. The renewable energy sources have the potential to meet the requirements of energy hence by deploying renewable sources, the problem of global warming can be solved to a great extent. • Avoid the deforestation and plant the trees as much as possible. Trees absorb carbon dioxide. • The energy used to power our homes, businesses, and industries is another major contributor to global warming. Use the energy efficient appliances at home or office. Also, unplug the devices in case of no use. By adopting this approach, we can save both energy and money. • The greenhouse effect is closed related to global warming and emissions from the transportation sectors especially carbon dioxide due to the burning of fossil fuels have increased at a faster rate. Varieties of solutions like switching to low-carbon fuels and deploy more public transportation system in the nation etc. Use of energy efficient vehicles like the electric car or use public transport will solve the problem of global warming to a large extent. Thanks for reading our article. Kindly suggest more ways in the comment section to solve the problem of global warming. India is a country of brave soldiers & Kargil Vijay Diwas is an important day in the history of independent India. It is celebrated every year on 26th July. This day is celebrated in entire India for the success of operation Vijay. In 1999, there was a war between India and Pakistan. The war took approximately 60 days and finally on 26th July 1999, the Indian army successfully took over the commands of all the points which were taken by the Pakistan infiltrators. India is celebrated the Kargil Vijay Diwas for the honor of the martyred soldiers in Kargil war. 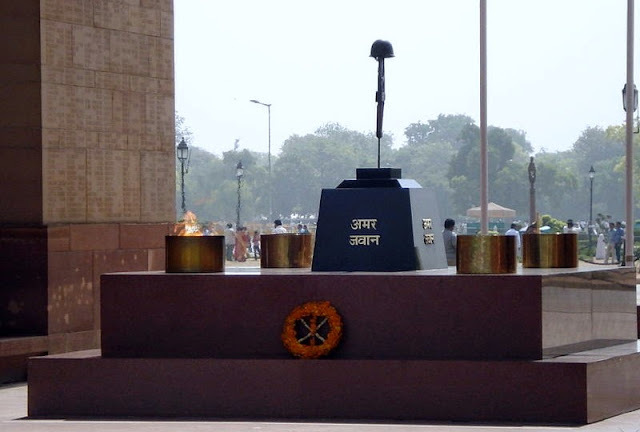 The Prime Minister of India commemorates the soldiers with Amar Jawan Jyoti at India Gate on this day every year. Several functions are also organized across the nation to mesmerize our great soldiers. Kargil is a city situated in the Ladakh region of Jammu and Kashmir of India. In the winter season, the temperature of Kargil drops close to -48 degree. There were many military conflicts between India and Pakistan after the 1971 war. The tension was increased in India due to several separatist activities and the nuclear test in both countries. To reduce the tension and stress in both the countries, the Lahore declaration was signed in February 1999 between the two countries. The main objective of this document was to solve the Kashmir problem peacefully through bilateral talks but at the same time, the Pakistani military was planning to invade into the boundary of India. 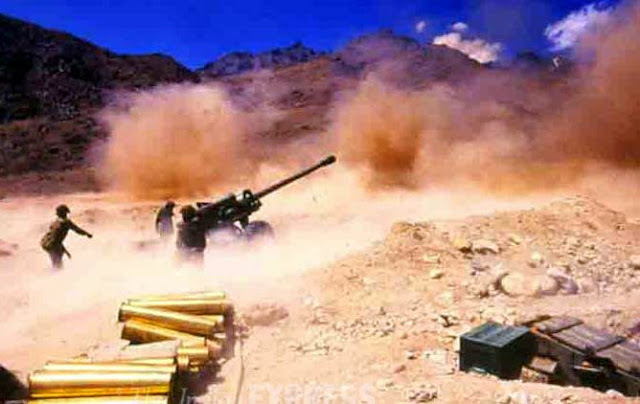 During the winter season of years of 1998-99, Pakistani armed forces invaded in the line of control of Indian side. The code name of this infiltration was “Operation Badr”. The main aim of Pakistani armed force was to break the link between Kashmir and Ladakh and remove the Indian Army from the Siachen Glacier. Pakistan was also trying to make the Kashmir issue as an international issue. After getting the information of infiltration, the Indian army started the operation with the code name of “Operation Vijay” and 2 Lakhs soldiers were sent under the operation. 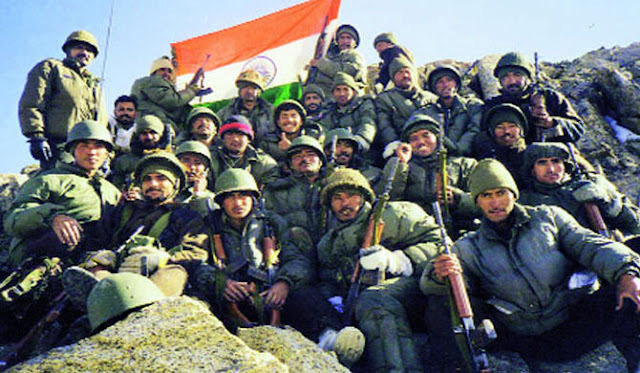 This war officially ended on July 26, 1999 and India recaptured all its posts. During this war, 527 soldiers sacrificed their lives. 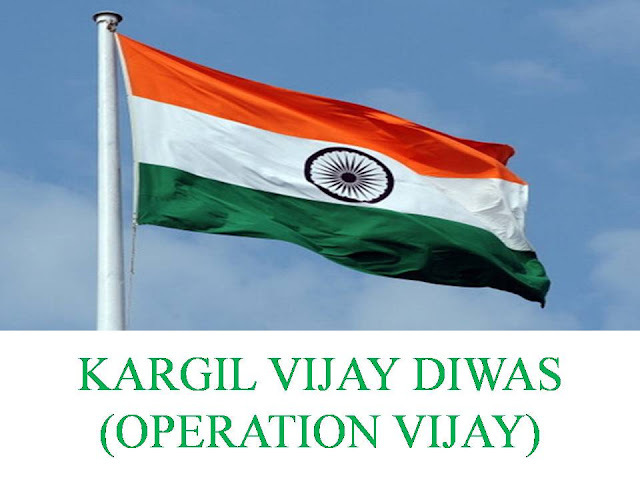 The Kargil Vijay Diwas is celebrated on the success of Operation Vijay. This war took place in the month of May and June of 1999 and the main cause of this war was the penetration of Pakistani soldiers to the Indian Territory. The war started when the shepherd lived in border area saw the movement of Pakistani soldiers in the LOC of Indian Territory. The shepherd informed the Indian military and to verify it, a team led by Capt Saurabh Kalia was sent to the location. Unfortunately, Pakistani soldiers attacked the team and brutally killed the Indian soldiers. This incident outraged the Indian military and they started Operation Vijay. With the support of the Indian air force, the Indian army took over all of the infiltrated sites. At the end of this post, I would like to make a point that war is not the solution to any problem. Whenever any war occurs, it causes a huge loss of money, manpower, and other resources of the entire nation involved in the fight. India is a great nation and we always believe in world peace and no war. On the great day of Kargil Vijay Diwas, we must remember all our soldiers who had given their lives to safeguard our nation from alien forces. I would like to salute our Indian army from the bottom of my heart who always stand for us in every difficult situation. If you have any feedback regarding this post, share with us in the comment box section. 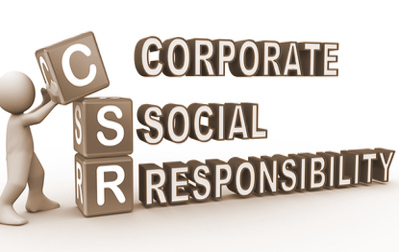 Corporate Social Responsibility or CSR refers to a business practice that includes the initiatives taken by the organization for the benefit of society. In other words, it is the initiatives taken by the organizations to assess & take responsibility for effects on the society & environment due to the operation of the company. Every organization has responsibilities toward the different stakeholder of society. There are two types of stakeholder in the company i.e. primary stakeholders and secondary stakeholders. Primary stakeholders have a direct stake in the organization and its success and the examples of primary stakeholders are shareholders, investors, employees, suppliers, business partner, etc. Secondary stakeholders have an indirect stake in the organization and the most common example of secondary stakeholders are government bodies, civic institutions, social pressure groups, etc. The companies act, 2013 has mandated companies the formulate the Corporate social responsibility policy and spend at least 2 percent of its average net profits if the company has a net worth of Rs. 500 Crores or more, turnover of 1000 Crores or more, or net profit of 5 Crores or more during a year. There are two theories that help us in the understanding of the different corporate social responsibilities associated with the organization. Let’s discuss both of them in details. The Carroll’s pyramid of corporate social responsibility is a four-layered model and it is called the pyramid of responsibilities. These responsibilities are explained below. • Economic Responsibilities: The main responsibility of any organization is to gain profit. If the organization is not able to gain profit then it will not sustain for the longest time. • Legal Responsibilities: Company must obey all the laws of the country related to its activities where it is operational. It includes labor law, environmental law, etc. • Ethical Responsibilities: Company must do below mention activities in order to obey the ethical responsibilities like paying fair wages to the employees, refusing business with oppressive countries, try to use only those resources that are environment-friendly, etc. 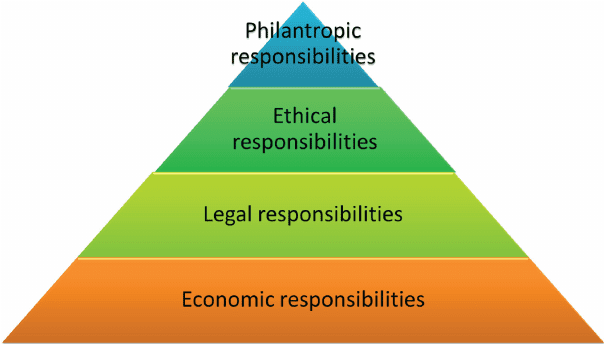 • Philanthropic Responsibilities: Under this responsibility, the company can contribute toward a society like engaging in projects to aid the environment, donate some money to the charitable trust, etc. 2. What is the Triple Bottom Line? Triple Bottom line or TBL is the accounting framework that encourages the overall assessment of the company’s CSR activities on the basis of three parameters and the three parameters are Social (People), Environmental (Planet), & Financial (Profit). Triple Bottom Line or TBL was found by John Elkington in 1994. • Social (People): It refers to fair & beneficial business practices for the welfare of people, communities & region where an organization conducts business. Social measures refer to the social dimension of the community & include the measurement of education, quality of life, health & well being, unemployment rate, violent crimes per capita, relative poverty, median household income, etc. • Environment (Planet): It refers to sustainable environmental practices. The organization must try to avoid all those activities that may impact our environment. If the organization is not able to do so, then the organization must find out the solutions to reduce the impact as much as possible. 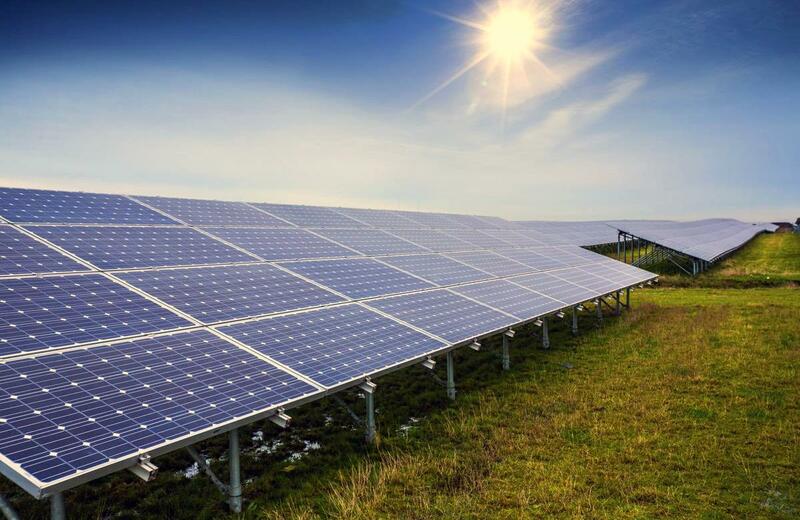 Environmental measures include air & water quality, energy consumption, natural resources, fossil fuel consumption, electricity consumption, solid waste management, etc. • Financial (Profit): It refers to the economic value calculated by the organization after deducting the cost required for the operation. The main responsibility of any organization is to gain profit. If the organization is not able to gain profit then it will not sustain for a longer time. These measures deal with the flow of money. Specific examples are personal income, cost of unemployment, job growth, revenue contributing to state growth product. There are several types of CSR activities, an organization can do for the welfare of human beings, society, and the environment. We have briefly explained some activities below. 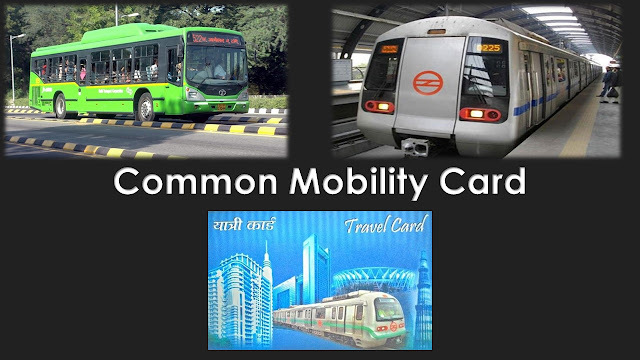 • Drive a campaign to educate our employees about the use the public transport if possible. Employees may share personal vehicles with colleagues while commuting. 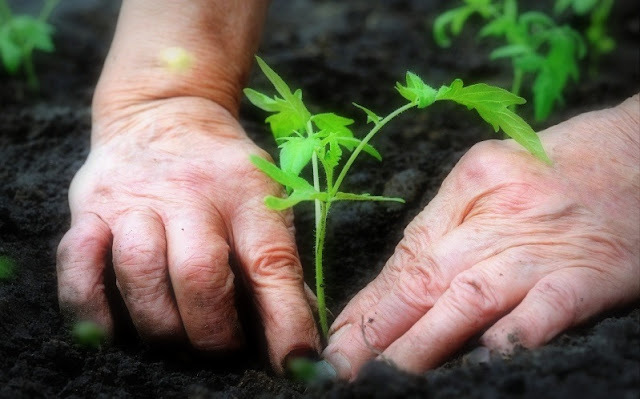 • Plantation of trees at large scale in the society especially at manufacturing firms. • Climate change is also one of the major concerns of the world. 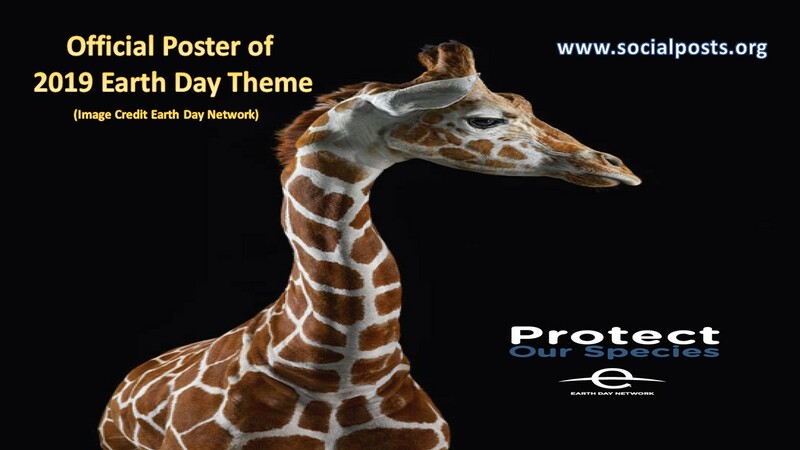 The organization may drive a campaign to educate the employees & society about the drawback of climate change. • An organization may support the government for providing the education of youth. Companies can conduct training programs to upgrade the skills of employees. • Use of less polluting & non-fossil fuel sources of energy like wind, solar, etc. at the facilities. This would be one of the key corporate social responsibilities to minimize the carbon footprint. Nelson Mandela was born in the small village of South Africa on 18 July 1918. He was the first black president of South Africa and well known as the anti-apartheid activist in South Africa. He served as president of South Africa from 1994 to 1999. He went to fort hare University College after taking early education from Methodist church school. He was leading student strike and due to this, he expelled from fort hare University College and thereafter he moved to Witwatersrand University and obtained the degree. In 1942, He received a degree in law from the University of South Africa. The political career of Nelson Mandela was started in 1940 when he joined the American national congress party. The main goal of the American national congress party is to fight against the racial discrimination policies of the South African government. In South Africa, black peoples were not allowed to go certain places like white peoples. Black peoples were also not allowed to cast votes. In 1962, Mandela was sent to jail for protesting against poverty, inequality, and racism in South Africa. He became the face of the anti-apartheid movement both within his country and internationally. He stayed in prison for 27 years and released in 1990. Mandela received the Nobel Peace Prize in 1993 and he was elected as the first black South African president in 1994. He made a mixed government to oversee the country’s transition. In 1995, he has started Nelson Mandela children fund where he denoted lots of money received after becoming South African president. In 1999, he retired from politics but he was working in the nation and around the world for peace and social justice. Due to illness, he also stopped attending public events and interviews since 2004. He died on 5 December 2013 at the age of 95 but he always remains in our hearts for the contribution he made in the society. What is Mandela international day? Mandela international day is an annual international day celebrated in the honor of Nelson Mandela. It is celebrated on the occasion of Mandela’s birthday i.e. 18th July. This international day was officially declared by the united nation in 2009 and the first international Nelson Mandela day was celebrated on 18 July 2010. 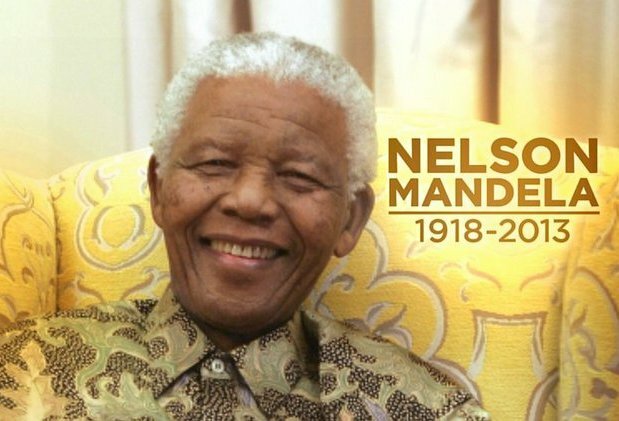 On this famous day, the whole world remembers him for his achievements in working towards human rights, peace, democracy, conflict resolution, addressing racial issues, etc. Nelson Mandela is a great personality and he is the inspiration for all. He fought against discrimination for his entire life. We can learn several things from him and we are explaining a few learnings below. • The first lesson that we can learn from Mandela is to never give up. He fought against discrimination and finally achieved what he wanted to achieve. • Please treat all human beings equal. There would be no discrimination based on color, caste, gender, etc. Every human being on this earth deserves respect and dignity. • We can also learn patience, forgiveness, and kindness from Mandela. He showed the power of forgiveness, kindness, and patience to the entire world. • Violence is not the answer to any problem. He started violence against the South African government to get the justice but he got the jail. After coming out of jail, he discussed racial discrimination with the South African president and got success after 4 years approximately. • Don’t afraid of the difficulties. There is a very famous quote given by Nelson Mandela “It always seems impossible until it is done.” He fought close to 30 years to get justice on racial discrimination. Nelson Mandela is the role model and inspiration for all. He has given his entire life for the welfare of human being and society. Now it is our turn to take inspiration and start working for our society, for our nation and even for the world as well. Thanks for reading our article. We hope that you liked our article. Kindly share your feedback or suggestions in the comment box. Education plays a very important role in the social and economic development of any country. 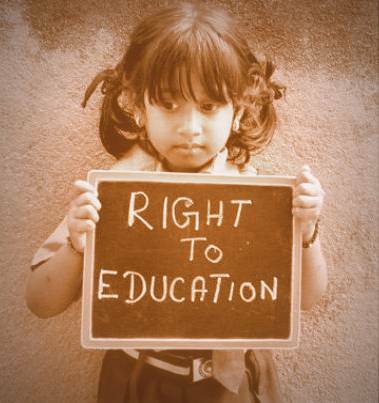 Every citizen of our country has some fundamental rights and the right to education is one of them. Unfortunately, a larger section of our society is ignored from this fundamental right especially the girls or the women. The education of women is very important and it is the first step of women empowerment. The literacy rate of women in India is a very low and major reason behind this low literacy rate is biased behavior in Indian society. 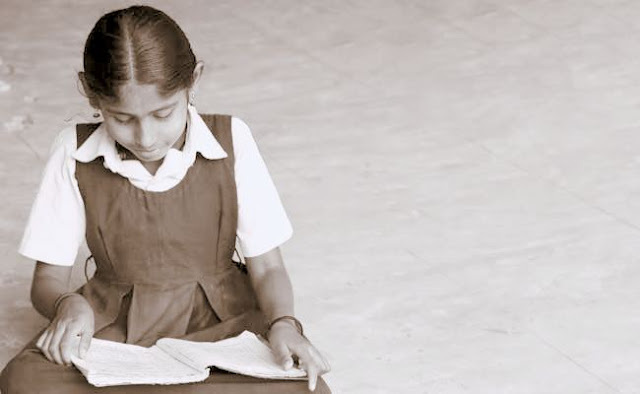 There are several perceptions of Indian society behind the low literacy rate of females. Few of them are listed below. • In Indian society, females or girls are considered as the liability so spending on girl’s education is useless. • Females can’t support the financial needs of the family as they will go to some other family after marriage. When we refer to the entire population, the percentage of the educated female is very less in comparison to male. A nation can be educated in the real sense only when the entire population of our country has access to education irrespective of gender. The education of every girl is important and we have summarized briefly the advantages of women education. • Better education for children: An educated woman can give better education to her children as the education of every child starts with its mother only. • Economic development and prosperity: An educated woman will take one step forward and contributes to the development and prosperity of the country. • Economic empowerment: The education of females makes them independent. They can earn and make their own status in society. • A healthy life of the family: An educated woman understands the importance of health and hygiene. She can better take care of herself and her family. • Quick skills learning: An educated female can learn things quickly and easily. So, even though a woman will be becoming a housewife in the future, education will help her in her daily tasks. • Improve poverty: The education of women is important to lighten poverty. Women need to take equal responsibility for the massive task of eliminating poverty and it is not possible unless girls and women are given their rights for education. • Fight for justice: The education of women helps in the understanding of various rights and the right for justice is one of them. It eventually declines the instances of violence and injustice against women such as dowry, forced-prostitution, child-marriage, female foeticide, etc. The literacy rate of India has been improved many times in the last several years. At the time of independence, the literacy rate of India was approximately 12% only and as per the census of 2011, it is close to 74%. The literacy rate of females is less in comparison of males and it is close to 65% as per census 2011. 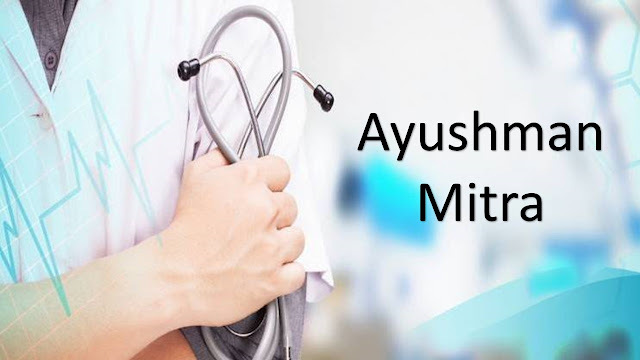 The Government understands the importance of education for woman and they have launched several schemes for the educations of girls such as CBSE scholarship scheme 2016, sukanya samridhi yojana, balika samridhi yojana, Mukhyamantri Kanya Suraksha Yojna, Mukhyamantri Rajshri Yojna, Mukhyamantri Laadli Yojna, Mazi Kanya Bhagyashree Scheme, Nanda Devi Kanya Yojna, etc. The education is the ladder of the success and the development of our nation. Women education is vital for the growth of each house as well as for the progress of the country and economy. The education of woman helps them in gaining confidence, self-empowerment; develop the self-image and understanding of several rights etc. Hence, we can easily conclude that the education of the girl is very important for the success of the country. Thanks for reading our article and we hope that you will like the article. Please share your views and also comment if I have missed out anything. What are the social responsibilities of every individual? The Republic of India is a great country located in South Asia. It is the seventh largest country in the world by area and most populated country after China. 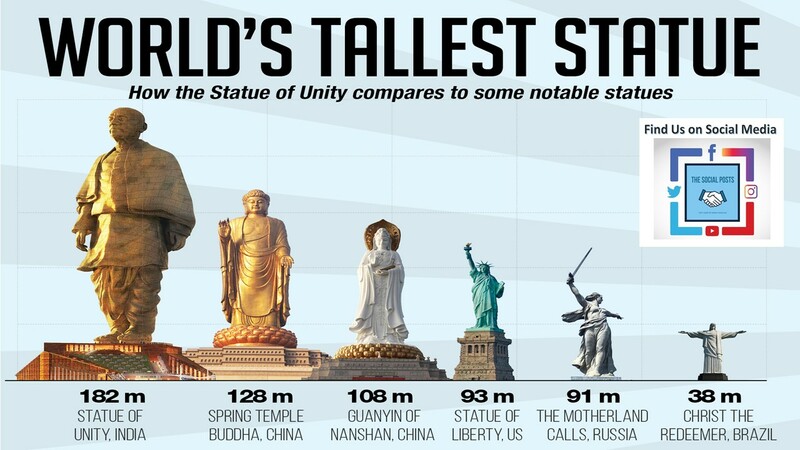 India is known in the world for its diversity in religions, cultures, and traditions and it is the only country in the world that has very rich diversity and we Indian can really proud of this. India is the developing economy and all the citizens of our country are socially responsible for the development of our country. 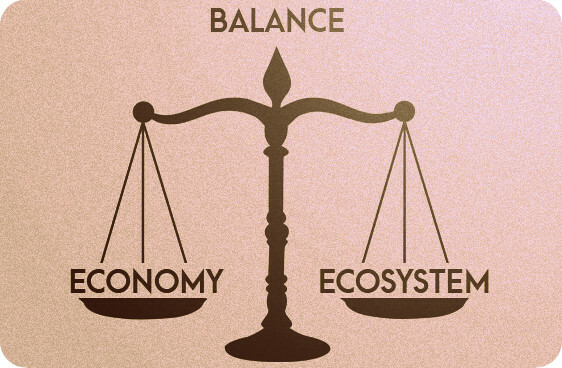 Social responsibility is the duty of every individual and it is to be performed in such a manner so as to maintain a balance between the economy and the ecosystems. The main purpose of social responsibility is to sustain the equilibrium between them. Social responsibility is associated with every individual of our country and it is the moral principle of every citizen to act towards the betterment of society at large. Individual social responsibility includes all the activities of an individual that impact communities or the society in the surrounding of the individual. 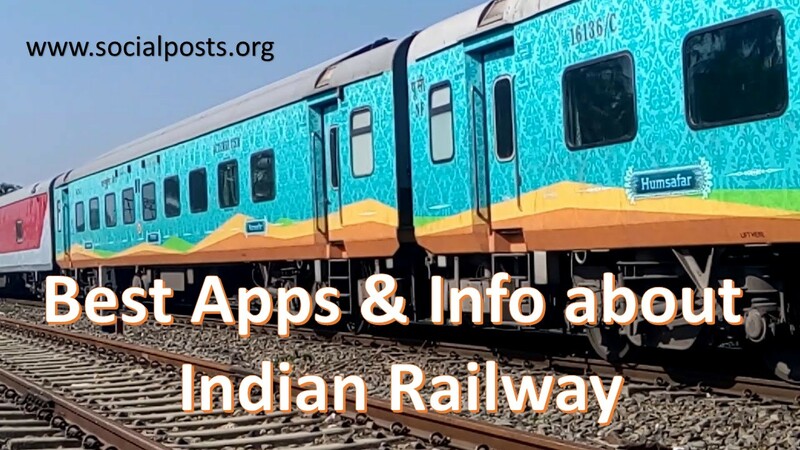 India is the developing country and being a developing country, several issues are present in the ecosystem of our country such as corruption, pollution, unemployment, poverty, etc. Government is planning, implementing and fighting with these issues to solve the problems of our country and being the responsible citizens of our country, “what are we doing for our country?” In most of the cases, we criticize the government rather than trying to solve the issue by ourselves. It is important to remember that all citizens of our country are the caretaker of our society and we all are solely responsible for the development of our society. Being a responsible citizen of our country, we all have several social responsibilities and we all are accountable towards the obligation of these responsibilities. Let’s look at a few points that make us a good & responsible citizen of our country. • Civic and social duties must be performed. Use the power to vote intelligently and pay taxes properly. Also, use acts like RTI, RTE, etc. for the wellness of the society. • Obey the rules and regulations imposed by the authorities. Don’t break the rules and also share your knowledge with other citizens to make them aware of social responsibilities. • Develop a deep sense of patriotism towards our country and always respect our country’s social and economic policies. It is always recommended that every citizen must contribute to the welfare of our country. • It is our prime responsibility to teach the moral and social values to our children so that they must show respect and love towards the country. • Help the poor and needy peoples and also support NGO for the betterment of our country. 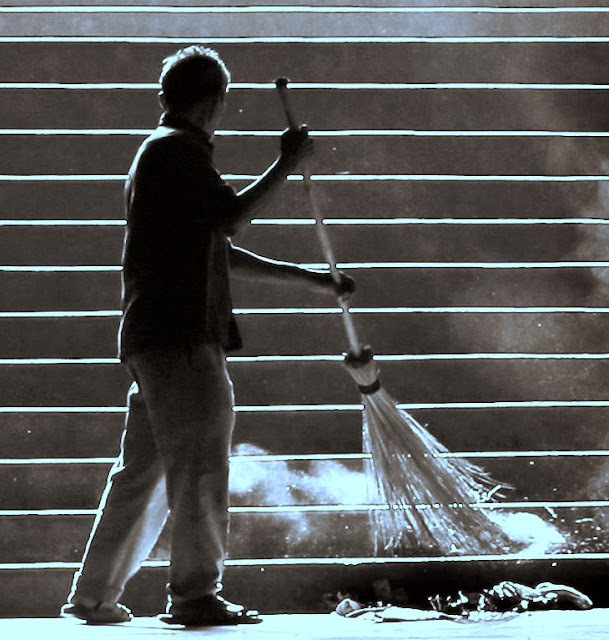 • Keep your surroundings clean and use the dustbins placed in society. Also, take care of public property. • It is advisable to show great hospitality to both foreign and local tourist. • We all are the brand ambassador of our country, so never speak wrong for our country especially when you are going outside India. Thanks for reading our article and we hope that you liked the article. Please share your views and also comment if I have missed out anything. Air pollution level remains high in many parts of the world. According to the data released by world health organization on global air pollution, India tops in the world for bad air quality. Among the 15 most polluted cities in the world, 14 cities are related to India in terms of PM2.5 concentrations. The worst is the Kanpur followed by several other cities such as Delhi, Patna, Muzaffarpur, Gurgaon, Jaipur, Faridabad, Varanasi, and Gaya, etc. The situation is very alarming as close to 7 million people die every year due to the ambient and household air pollution. The presence of toxic chemicals or compounds in the air that pose a health risk to human is called air pollution. Simply, it is a mixture of harmful liquid droplets, solids and toxic gases like carbon oxide, nitrogen and sulfur gases, inorganic substances, bacteria, viruses, insecticides, etc. Natural & man-made sources are the causes of air pollution. The most common natural phenomenon where the origin of these particles occurs is volcanoes, dust storms, forest and grassland fires, etc. 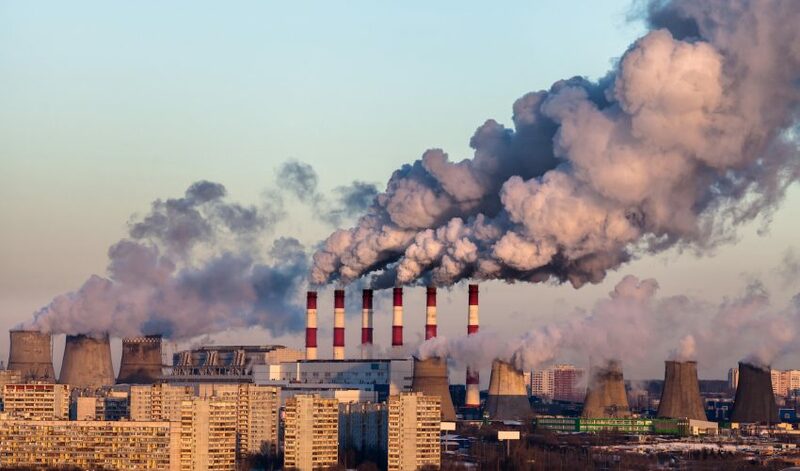 Various human activities such as burning of fossil fuels in vehicles and cooking food, various industrial process, and power plants are also responsible for the occurrence of these particles. What are PM 2.5 and PM 10? “PM” refers to particulate matter i.e. particles in the air are micro-level solid or liquid substance suspended in Earth's environment. Particles equal to 2.5 or less than 2.5 micrometers in diameter are called PM2.5. Particles equal to 10 or less than 10 micrometers in diameter are called PM10. Between these two particles, PM2.5 is more dangerous than PM10 because the size of PM2.5 particles is very small and they can travel more deeply into our lungs and cause harmful effects. Long exposure of PM2.5 causes several types of problems such as irritation in the eyes, nose, and throat, coughing, sneezing and shortness of breath, asthma, heart disease, etc. In a developing country like India, coal combustion is the primary method for cooking food at homes and supply electricity to the nation. It is one of the prime reasons for India getting top rank in bad air quality in the world. 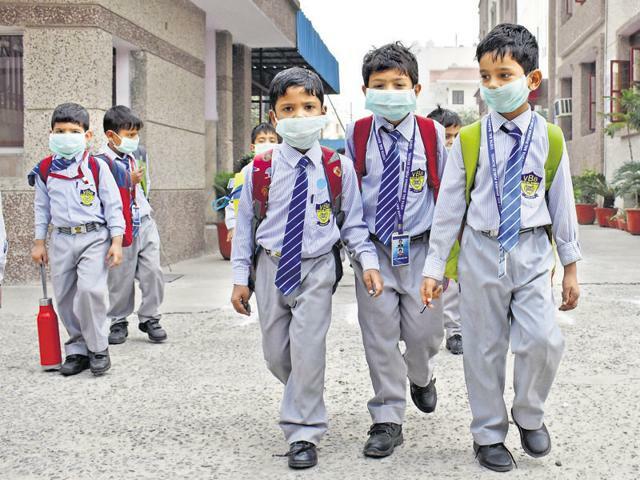 What are the Air Quality Standards and prime factors of Pollution in India? As per the Air act of 1981, Central Pollution Control Board is accountable for setting the standards of ambient air quality. The air quality measurement is based on eight pollutants, namely, PM10, PM2.5, NO2, SO2, CO, O3, NH3, and Pb. The worst reading in these pollutants represents the Air Quality Index for that city. The air quality index of India is very bad and India is at the top of the list in the world for the poor air quality. As per the environment performance index in2018, India is among the bottom five countries and it ranks 177 out of 180. There are several factors responsible for poor air quality in India. We have tried to summarize a few major reasons. • The exhaust from the vehicles is contributing approximately 30% of India’s air pollution. • Another important factor is the burning of household or industrial wastes in the open areas. 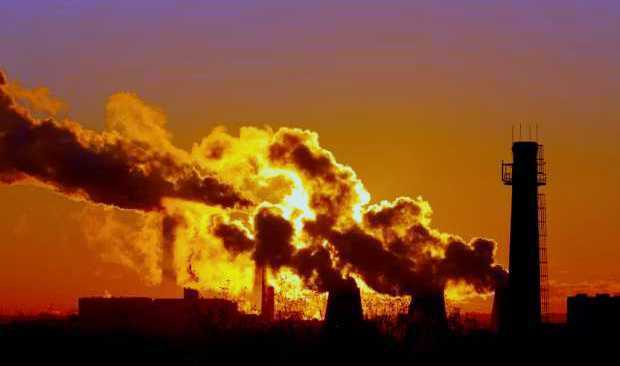 • The burning of fossil fuels in the diesel generators and the power plants are also responsible for the pollution. • The burning of crops by the farmers is one of the prime reasons for bad air quality of India in the world. What are the solutions to India’s air pollution? There are several factors contributing to the air pollution of India. To handle this problem, the contribution from every citizen of India is required. Few solutions to combat air pollution are listed below. • Vehicles are the prime contributor to the air pollution so it is advisable to use public transport as much as possible. Carpooling is the other option to reduce the fumes coming out from the vehicles. The 3rd best possible option is to have electric vehicles on the road as early as possible. • The cleaner fuels must be used. Electricity is one of them. • Agricultural residues must be used for the power generation. Apart from this, there are several eco-friendly methods for power generation such as solar power, hydropower, wave power, tidal power, etc. Currently, India is at the top in the world for the poor air quality but after adopting several measures like these will help in the improvement of air quality of India. In the current context, the air quality of India is very poor in the world but we all are accountable for this bad air quality. Being a responsible citizen of India, it is now our prime responsibility to take one step forward in the development of our country. Carpooling, electric vehicles use, planting trees and promote the use of public transport are some small key steps help our country to combat air pollution.